Over the handful of years that Fresh has been around, it’s been great watching a handful of new companies burst onto the scene. Over the past few years QED has brought some great style to the course while also creating products that are clearly better than the traditional and big-box apparel mainstays. 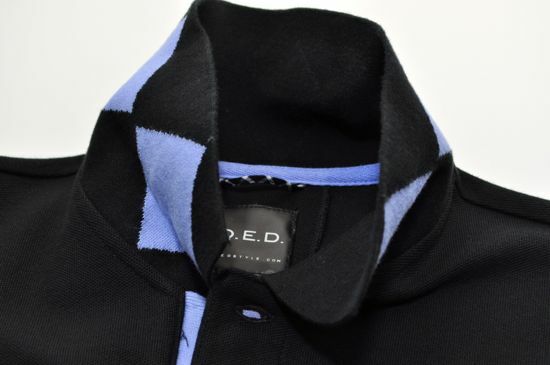 I also really respect that QED has attitude and is pushing the boundaries of what modern style means on the golf course. QED recognizes that style means more than textile selection and stitching patterns. I’ve been wearing a variety of the QED polos and the Alpine Short for the past few months. The Polos that I’ve tried out are the Holden, Logan, and Torrey Polos. The Holden and Logan polos are excellent for warm-weather golf and the Torrey is great for the mild temperatures. 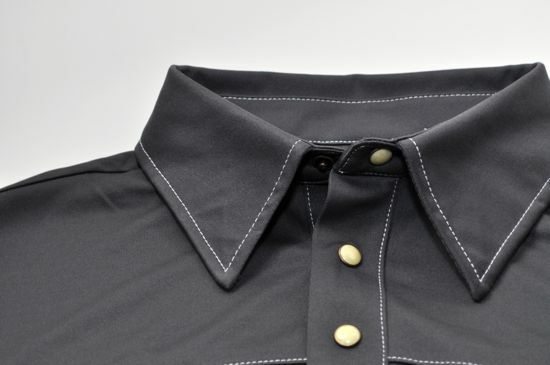 The Holden is a nice cotton and spandex blend with a 5-button front, a cowboy cut, and the signature QED logo buttons. The shirt feels great and fits similar to other golf shirts on the market with a hint of a slimmer fit. 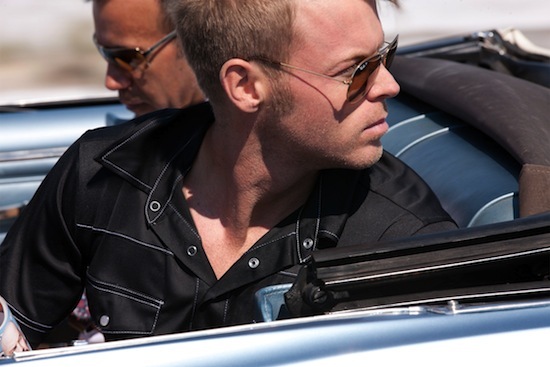 The Logan polo has a similar cut to the Holden with a button collar and is 100% polyester. I’m a sucker for polyester in the summer and the feel and performance of this shirt is nothing less than excellent. The shirts hangs extremely well and has a fit that mirrors the Holden. The Torrey polo is a pique polo that is 100% cotton and thicker than the Holden and Logan. It’s a great shirt for the more mild days or early morning golf. 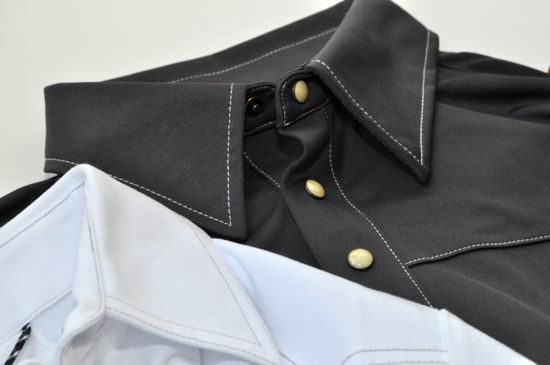 The diamond pattern under the collar is a great touch for when you go low and feel the need to pop the collar. All of the shirts are impressive and ones that will receive quite a few rounds on the course with me this year. That’s really all that needs to be said about the Alpine shorts. I love everything about them. These shorts are the perfect weight and material. 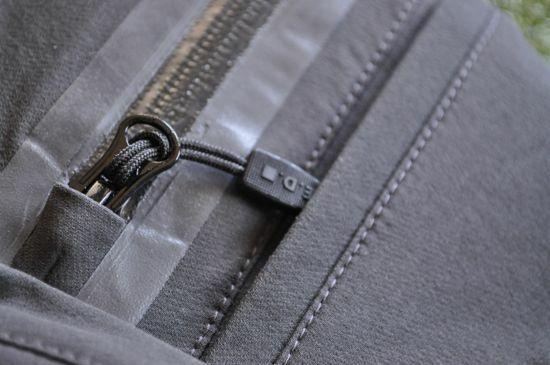 The fabric is strong but also stretchable and water-resistant. You won’t want to take the shorts off… ever. 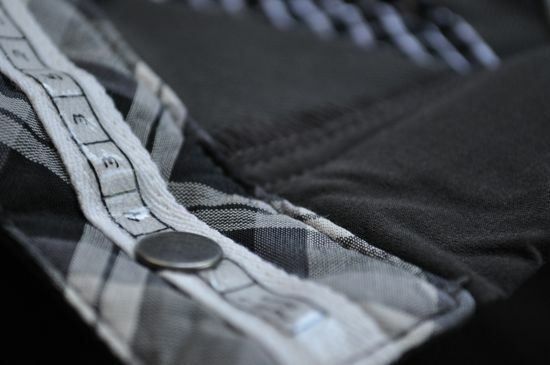 The shorts are also lined with a rubber coated strip around the inside of the waistband that does an excellent job of keeping your shirt tucked in. The pockets are all perfect depth (including a very nice water-proof rear zipper pocket) and the length is perfect for a golf short. I haven’t tried the pants, but assume they are every bit as great as these shorts. As soon as it warms up, I expect to grab a pair of the pants and give them the same workout that I’ve given these shorts. 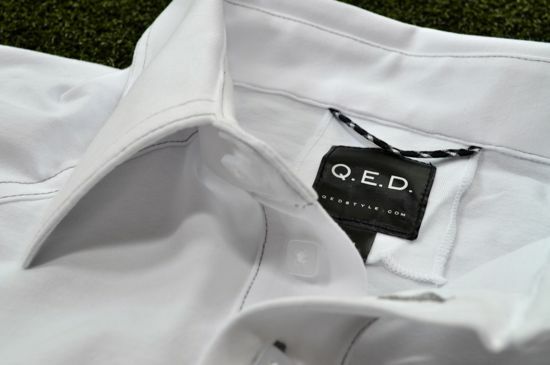 QED is a welcome addition to the golf apparel market and I have no doubt that they’re going to continue to bring us some great products over the years. A nice mix of progressive styling, thoughtful fabrics, nice fits, with a healthy dose of attitude make QED a company to keep your eye on.